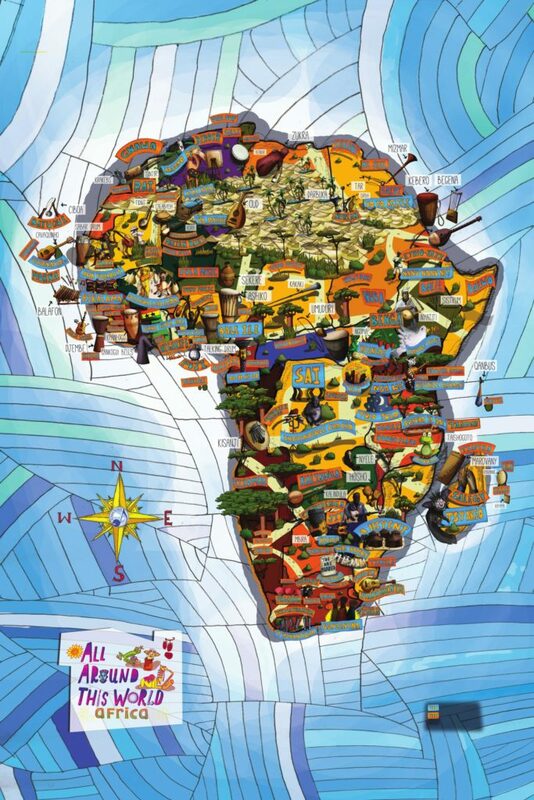 Coming soon: Click on any image on the All Around This World Africa Musical Map and you’ll find an introduction to the instrument, genre or All Around this world song. Try it out on our Latin America music map. Beautiful 36″x 24″ prints of the Latin America Musical Map are available through All Around This World’s page on Bandcamp.